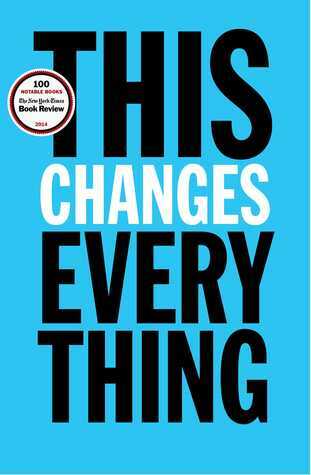 Yesterday I posted links to my review of Naomi Klein’s This Changes Everything on Goodreads. Also yesterday I wrote this fiction piece set in a possible future when some of the possibilities she discusses have come to pass. The piece also uses a sentence provided as a prompt by the leader of the writing group to which I belong. You’ll find it near the end. See what you think. The memory of those carefree days could always be relied upon to do it. The years when her every need was catered for – or so it seemed, looking back. The refrigerator was always full, replenished regularly by visits to the superstore, its aisles packed with all manner of goods. Fruit and vegetables available throughout the seasons, often after having been transported hundreds of kilometres, all unblemished and perfectly shaped. Clothing, hardware and electronic gadgetry, all made thousands of kilometres away, also transported long distances but, nevertheless, available at prices she could easily afford. Although her house was equipped with the latest twin-oven cooker she hardly ever used it. It was so much easier to phone for a take-away, or purchase a pre-cooked meal from the frozen food cabinet in the store, which she would re-heat in minutes in the microwave. She would remember with a wry smile how the most difficult decision she ever had to make was what to wear. Her wardrobes were stuffed with garments for all occasions. Still, she could never resist the temptation to purchase something new. The department stores ran end of season sales every year, selling off surplus garments at reduced prices. Those were not for her. She always had to have – and could easily afford – the latest fashions. Once in a while she would go through her wardrobes, discarding garments she deemed too outdated to ever wear again. Some, she would discover, she had never worn. Many more had been worn only once. It made her feel good to give them to charity shops where someone less fortunate than her would be able too acquire them at a bargain price. And the shop would use the proceeds of the sale to help starving people in Africa, or homeless folk in her own capital city. Oh, how she hated for her friends to see her wearing the same dress to two different functions. And back then there were so many. Dinner parties, theatre dates, book launches, exhibition openings, gala concerts. Sometimes it seemed like she was hardly ever at home. Between her work and her social life, home was little more than a dormitory, somewhere she slept, bathed and, occasionally, ate. She thought about her favourite restaurant and the nights she and George had spent there. The exquisite dishes that Claude, the chef, had produced, the frequent changes of menu so that they never tired of going there. And the semelier always had a bottle of her favourite wine in his cellar. And then there were the foreign holidays. All those exotic places they’d visited. Sometimes as part of George’s job – she’d go with him when he had business overseas. She’d scour the shops and souks looking for bargains, or visit museums and galleries, whilst he met with government officials to negotiate some deal or other for the company. But that was in addition to the holidays, a perk of the job, like the annual bonus George came to take for granted, bigger every year than the last. And so the holidays would take them to peaceful, remote islands and luxury resorts, where they could relax and enjoy each other’s company. She couldn’t remember when she first heard the word Blockadia. It was probably George. It was he who kept up with the news and politics. He needed to for his job. She wasn’t sure exactly what his job entailed, only that it was quite senior, and that it was in a company involved in oil and gas production. So far as she knew the firm was doing well. New sources of supply were constantly being discovered and the company’s engineers were good at coming up with ways to extract material from the most unlikely of sources. The problem was that sometimes – quite often actually, now she thought about it – the people who lived where these new fossil fuel deposits were located objected to the way the company’s operations disrupted their lives. She didn’t fully understand, but there were stories about wilderness areas that had been hunted and fished for generations being invaded by monstrous machines that tore into the land to extract tar which was then diluted with water and shipped thousands of miles in rail cars or pipelines. 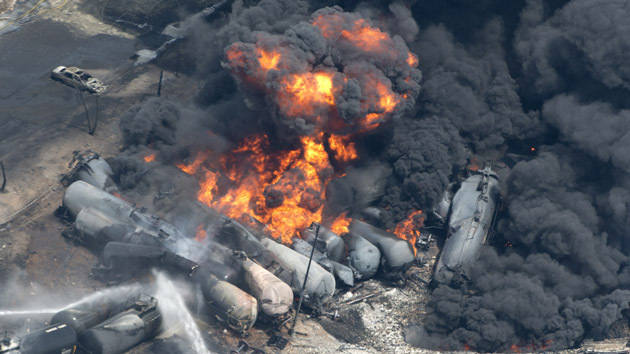 The pipes leaked, rail cars would explode. And the rivers were so polluted that fish died and water supplies were contaminated. So people everywhere began to blockade the company’s operations. Preventing the big machines from getting to the wilderness to do their work. Stopping the construction of the pipelines. Persuading universities and churches to sell their shares in the company. Lobbying their governments to change the law so that companies like the one George worked for would not be permitted to carry on their business. And, on top of all this, there was climate change. The way that burning all the coal, oil and gas, whose extraction caused so much suffering wherever it happened, was creating a blanket of carbon dioxide and methane that prevented the natural cooling of the planet. All that seemed so long ago. Foreign holidays were impossible now, between the rationing of jet fuel and the cost of mitigating the terrorist risk, long distance travel had stopped years ago. So had the transportation of goods over long distances. People made their own clothes now, just like her great-grandmother had. They grew and cooked their own food, or purchased food produced locally and sold in markets. They even brewed their own alcoholic beverages. The gadgets that used to fill their homes – televisions with vast screens, lap-tops, tablets, gaming machines, machines that washed their clothes and the utensils they used on the odd occasions when they cooked and ate at home – all now languished in antique shops and museums, testament to a golden age that had passed with her youth. It was in one of those places she’d spotted the catalogue. The print was faded, the colours in the many photographs not as vivid as she remembered them. The words and images blurred on the page as her eyes filled with tears at the memory of the life she used to have before her world was turned upside down. By franklparker in Original writing, World Affairs on November 6, 2015 .